Hello, and welcome to The Very Serious Crafts Podcast, Season 2: Episode 3 – Valentine’s Day Creativity and Lovable Supplies! 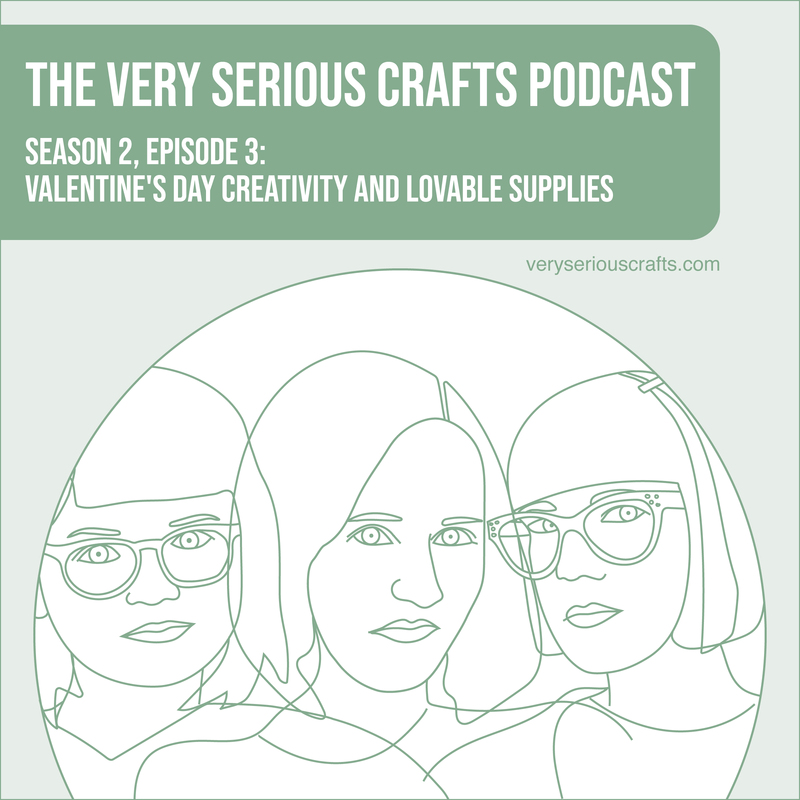 Love is in the air in this episode of the Very Serious Crafts Podcast! Mollie gets a crush on crafty video games, Haley shares crafting romance novel recommendations, and Heidi remembers a 5th grade Valentine’s Day project. 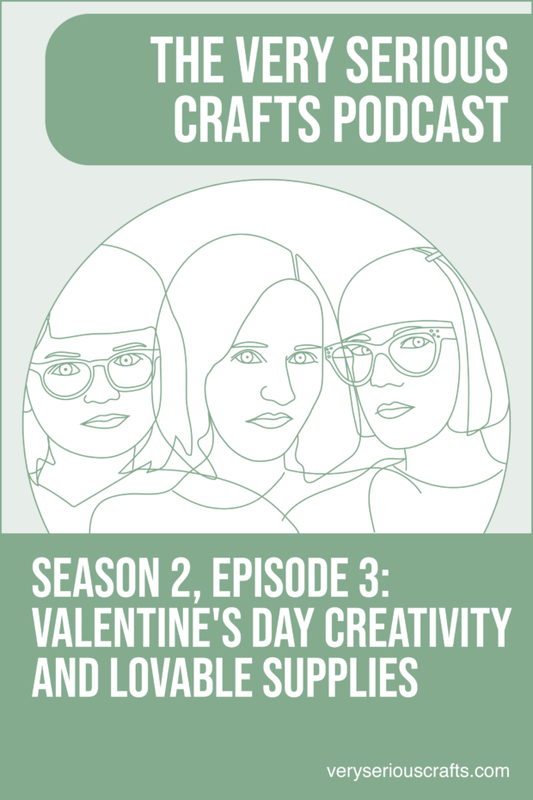 Plus, all three girls discuss the craft supplies they love.